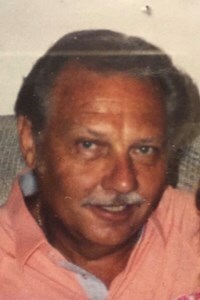 Newcomer Family Obituaries - Roger W. Bowman 1937 - 2018 - Newcomer Cremations, Funerals & Receptions. It is with great sadness that the family of Roger W. Bowman announces his passing after a long illness, on Friday November 23, 2018 at the age of 80. Roger will be lovingly remembered by his wife of 41 years, Susan; his children, Laurie Heinrich (Steve), Ronnie Bowman (Suzanne), Jerry Bowman (Megan); his step children, Kimberli and Chad Babcock; eleven grandchildren, Kacey, Katey, Samantha, Caylynn, Alisha, Jenna, Cairra, Victoria, Nicole, Jaxson & Rex and seven great-grandchildren, extended family & friends. Add your memories to the guest book of Roger Bowman. You were a great father in law, we had some great times and laughs together. Im sorry you didn't get to enjoy your retirement and life the way it should have been. You will be sorely missed, thank you for being a friend and for all you did for Laurie and I. Sue I am very sorry for your loss and thank you for the care and love you gave Roger over the 39 years I have known you. Laurie, Ronnie, Jerry, Kim and Chad I hope you all can find some relief in the thought that he is no longer suffering and that he is there for you all in your thoughts if you need to talk to him.